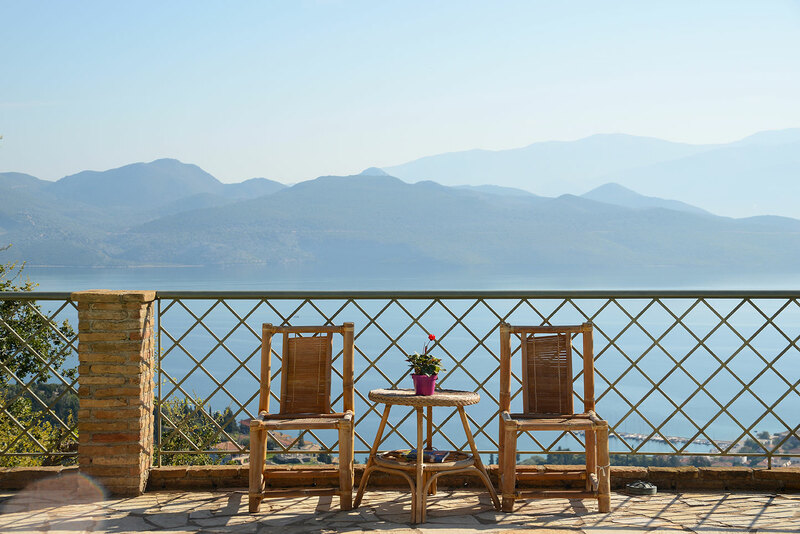 Located uphill over Nikiana village, our Villas offer stunning sea views to the sea, from all of the rooms! 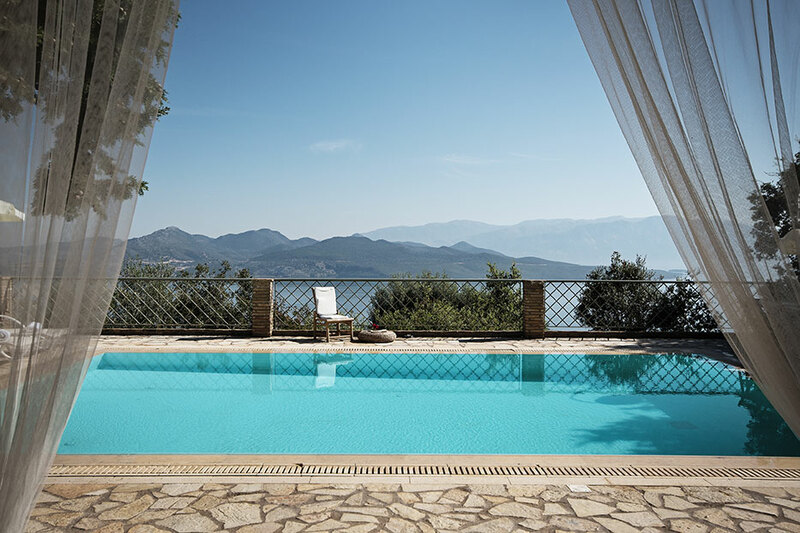 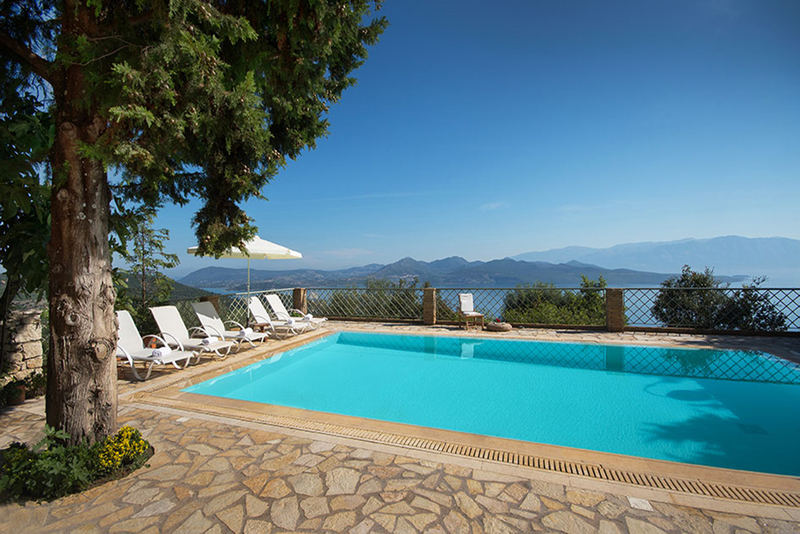 Diodati Villas is a luxury retreat consisted of three private Villa Rentals (Villa Arion, Villa Asteria, Villa Aethra), each with their own private pool and breathtaking sea views from all of their rooms! 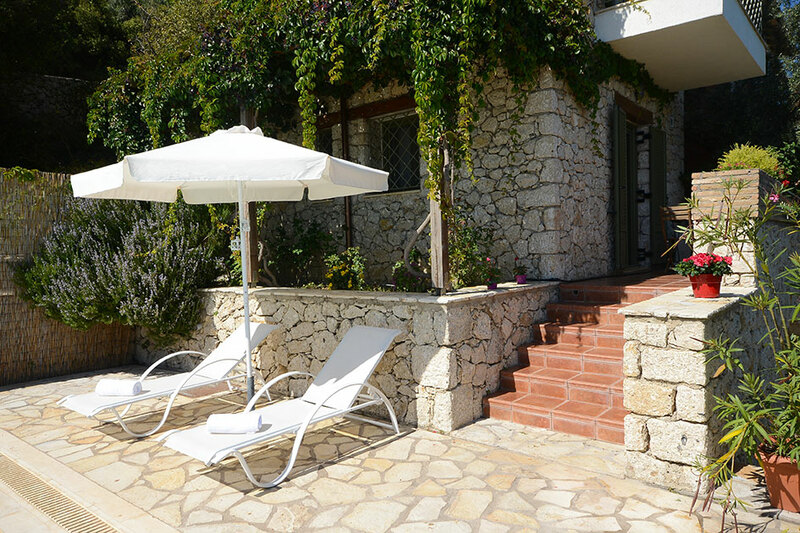 Diodati Villas is located uphill, 2km above Nikiana village close to the beach, cafes, restaurants and shops. 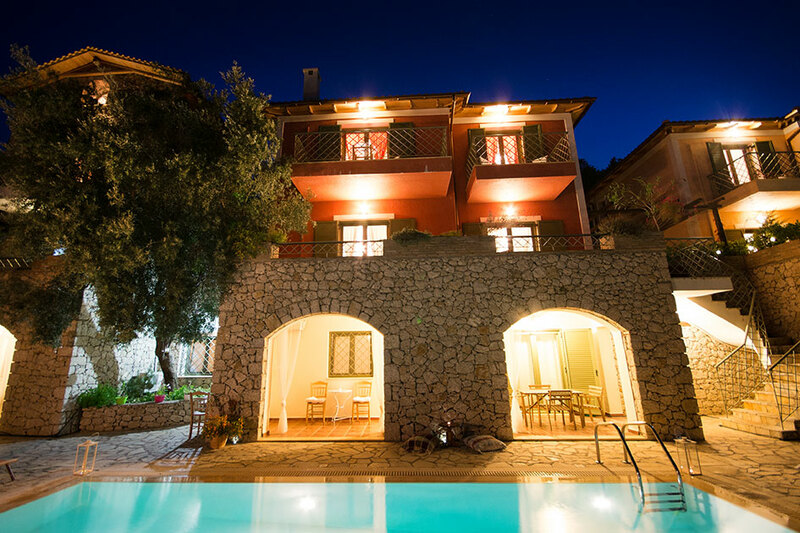 Nestling in the lush green hills, this well appointed holiday home rental complex, is all about relaxation, quality time and warm hospitality! 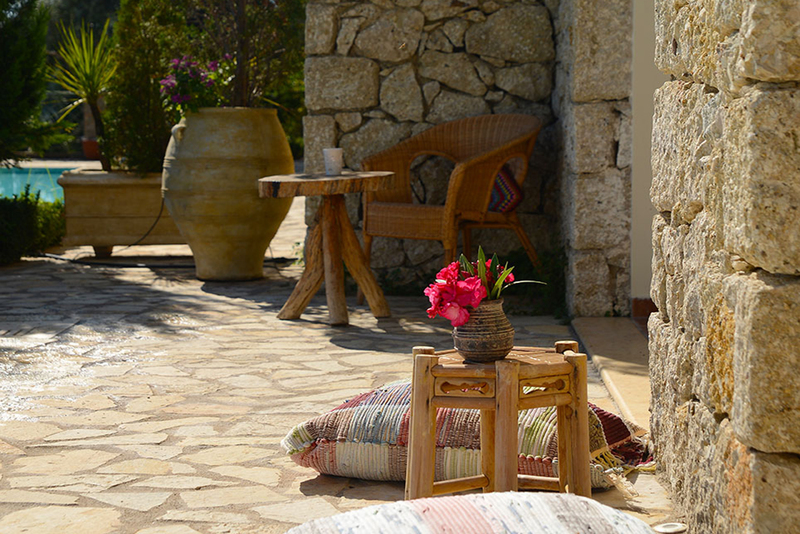 The owners with their flare for art and design have brought to life old and authentic local architectural traditions using natural materials such as stone, wood and ceramic tiles echoing the style of a time long ago past, but at the same time mixing it with all the necessary equipment for the modern lifestyle. 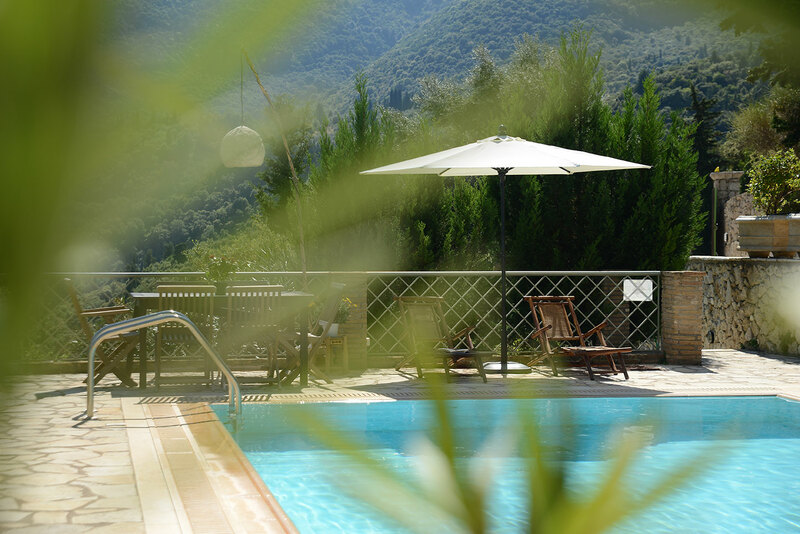 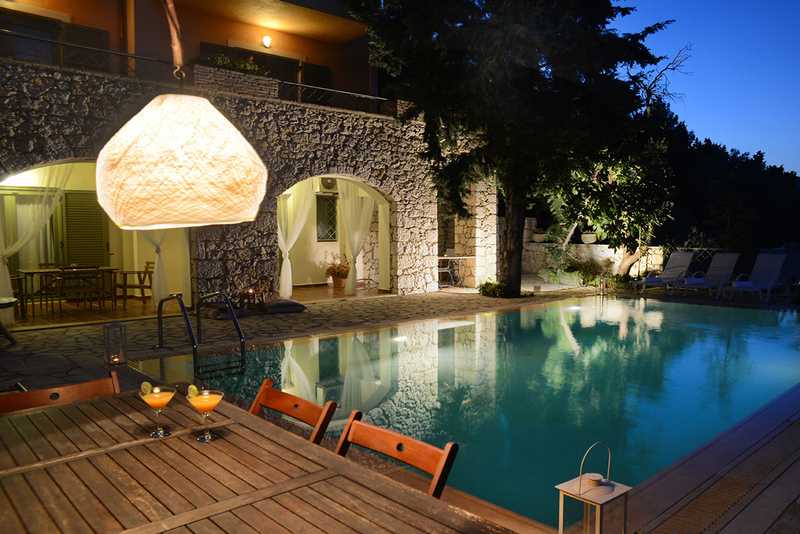 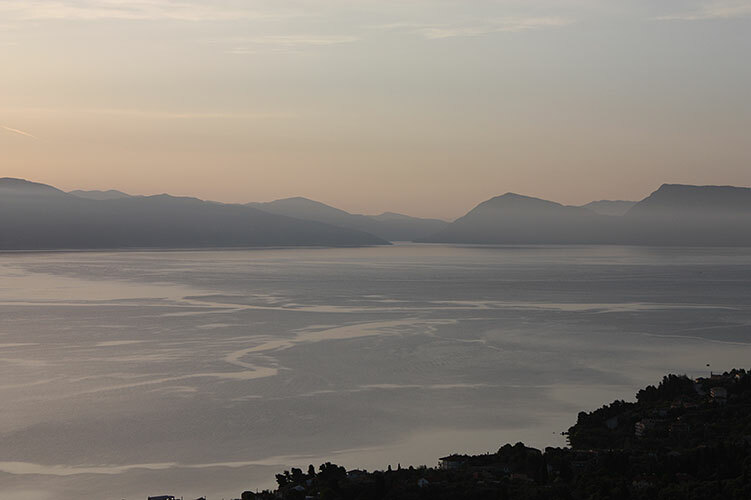 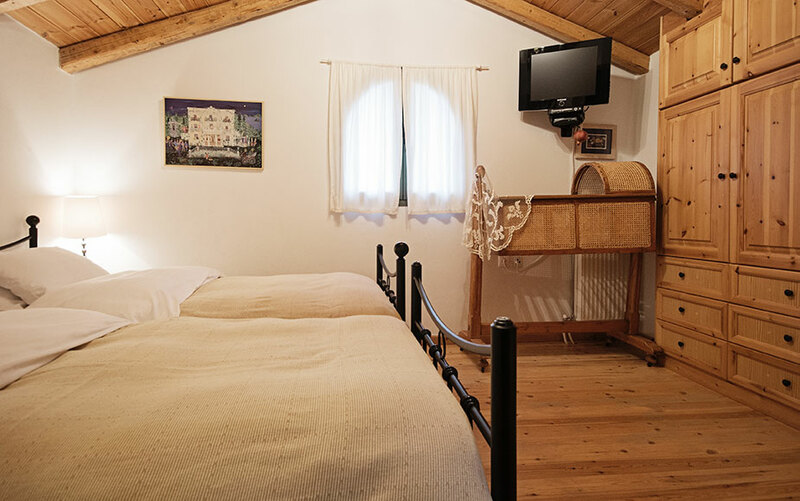 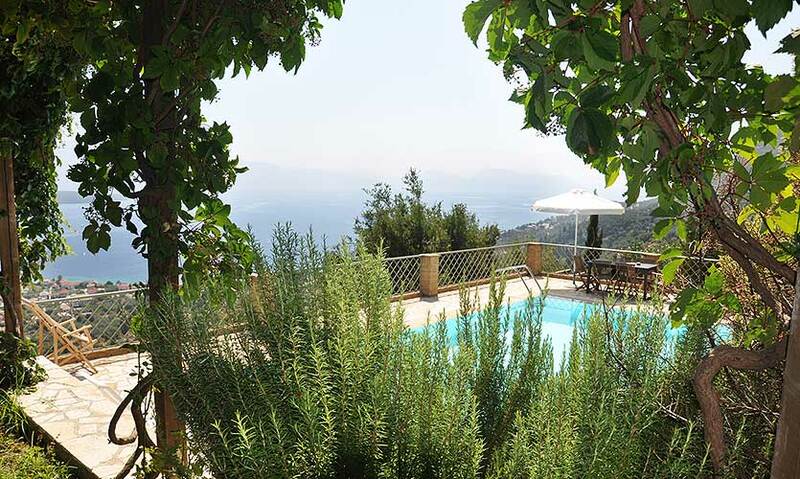 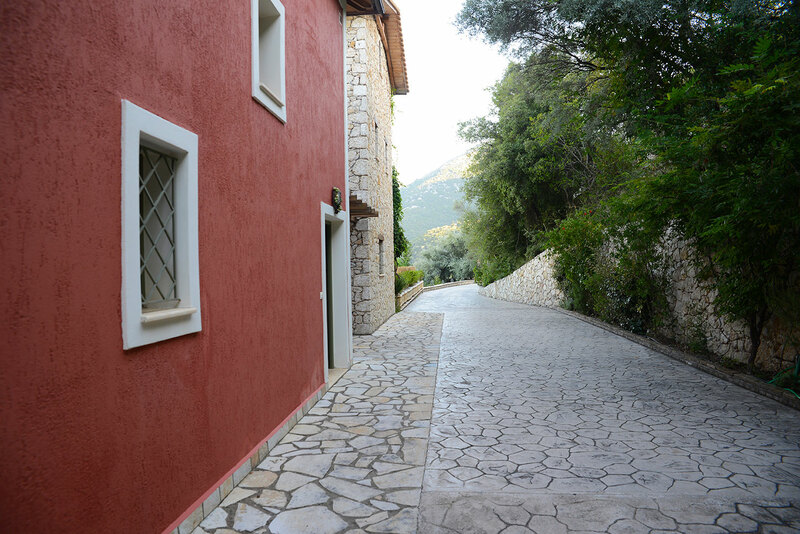 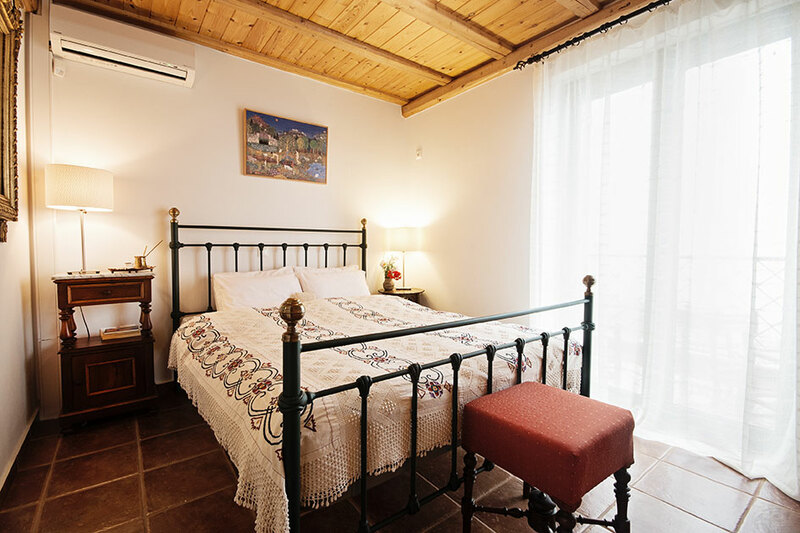 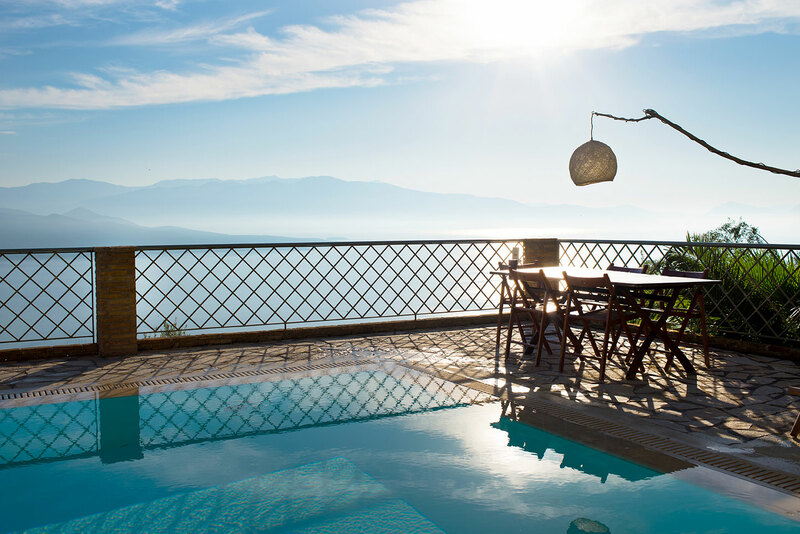 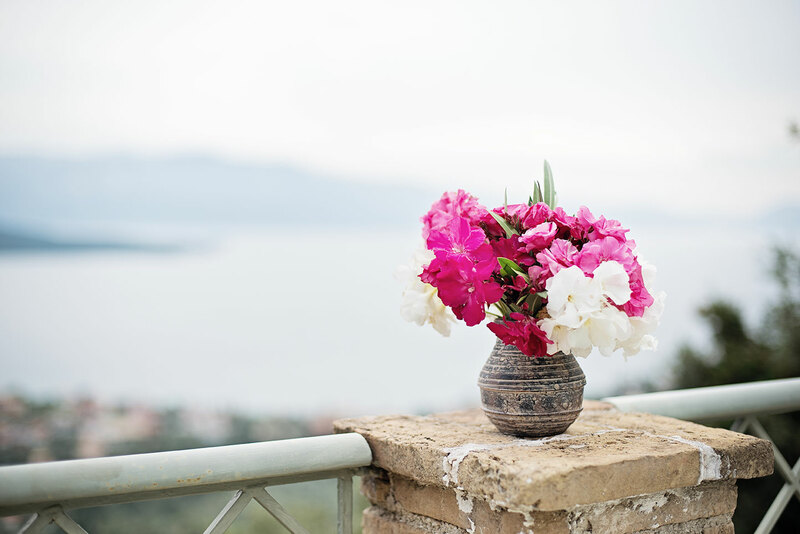 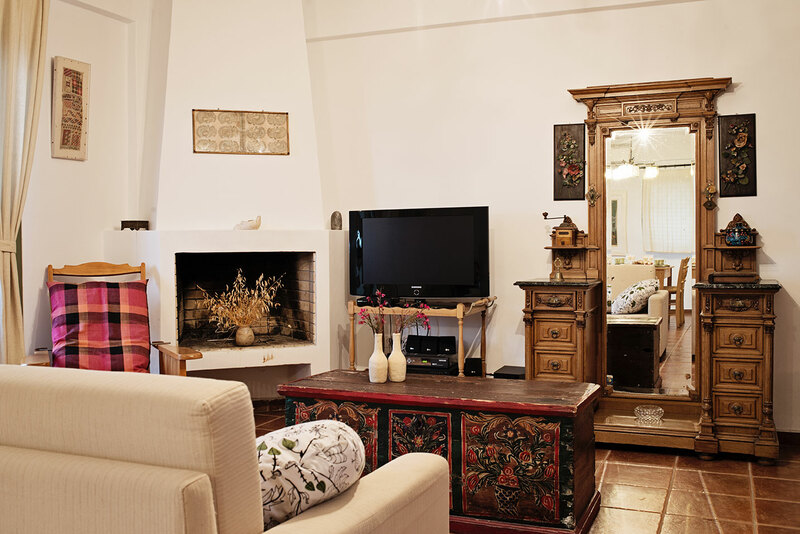 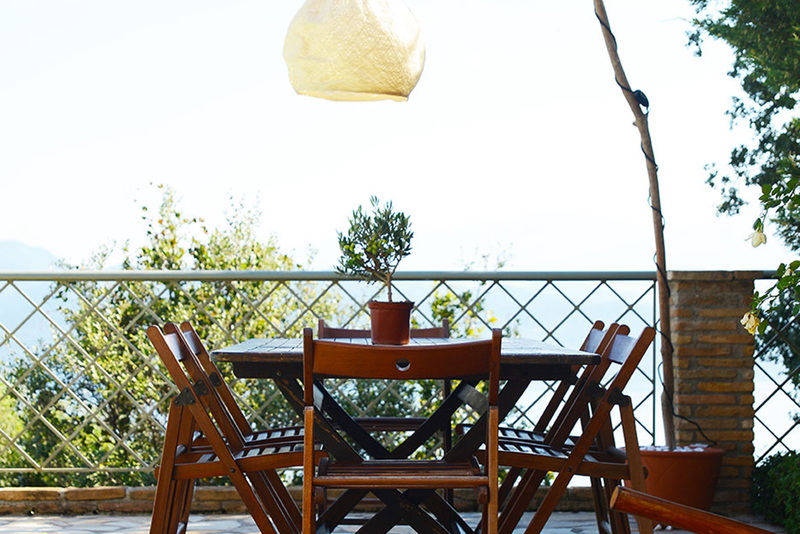 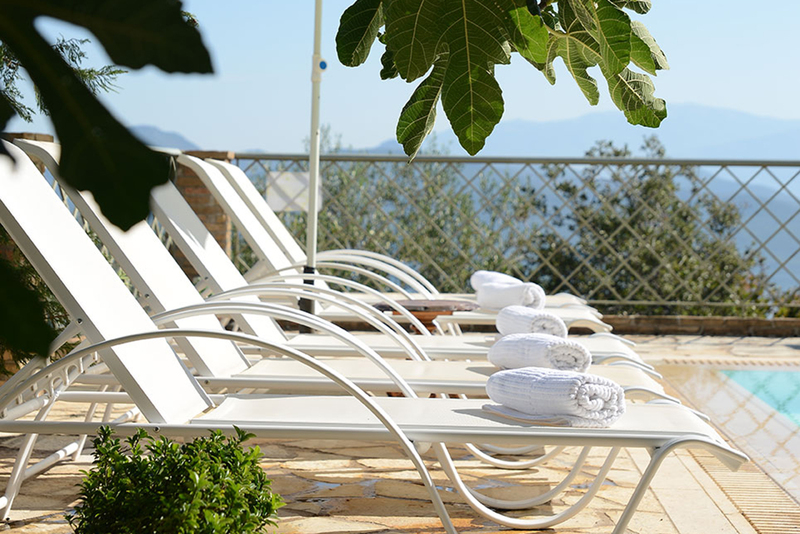 It has been their quest to offer guests of Diodati Villas the feeling of complete satisfaction; a holiday where guests can feel at home, enjoy the natural surroundings, discover traditions, relax and enjoy the people and the island of Lefkada. 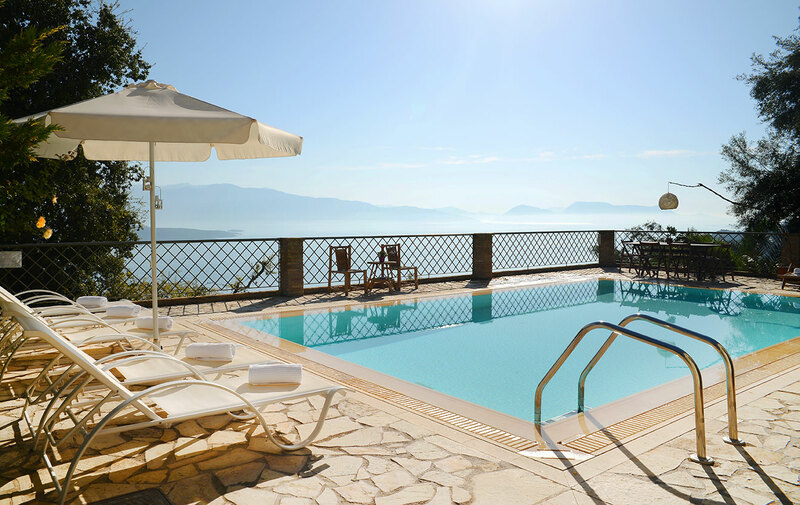 Diodati Villas consists of three private properties, Villa Asteria, Villa Aethra and Villa Arion. 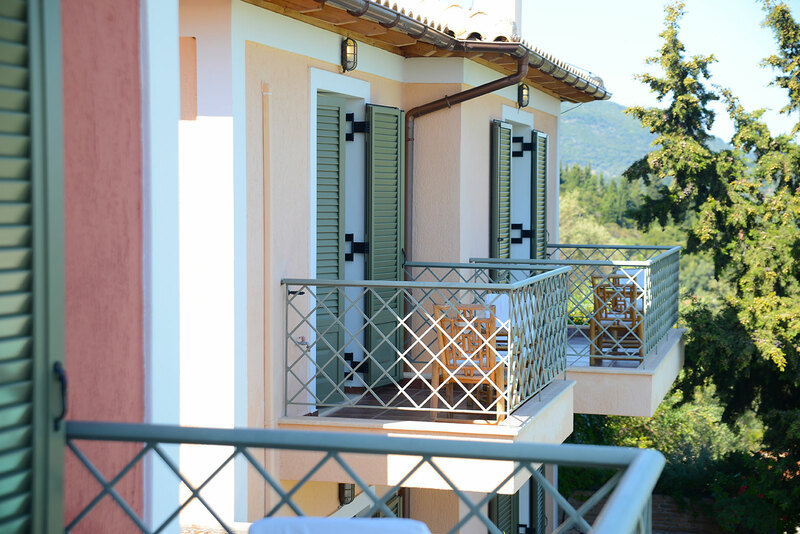 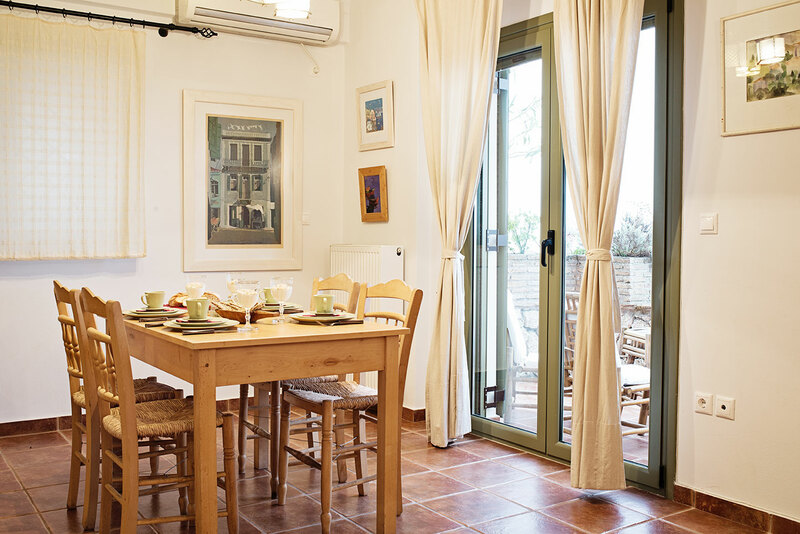 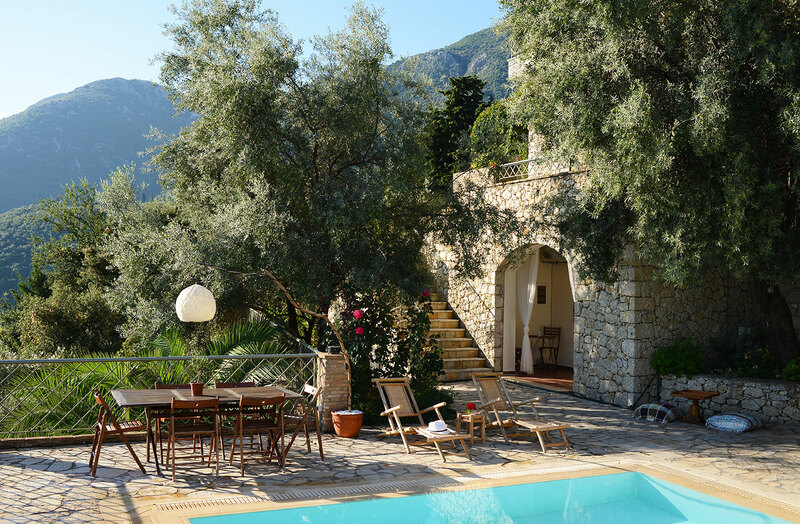 All Villas are east facing and have their own large private swimming pools and lovely balconies from where you can enjoy stunning vistas of gorgeous olive and cypress all the way to the water’s edge and beyond to the Ionian Sea to the Acarnanian mountains across. 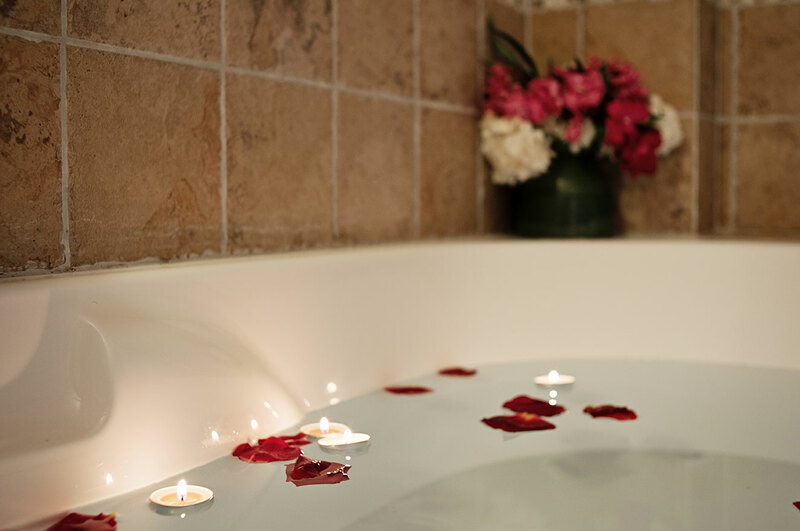 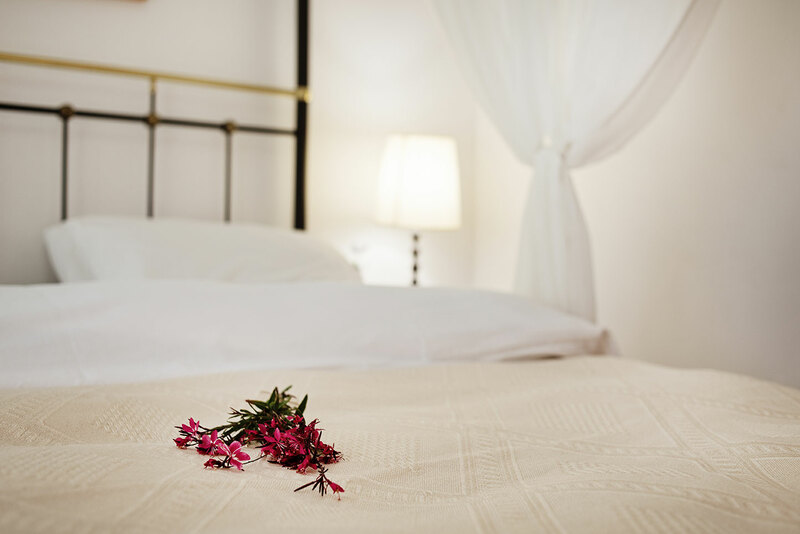 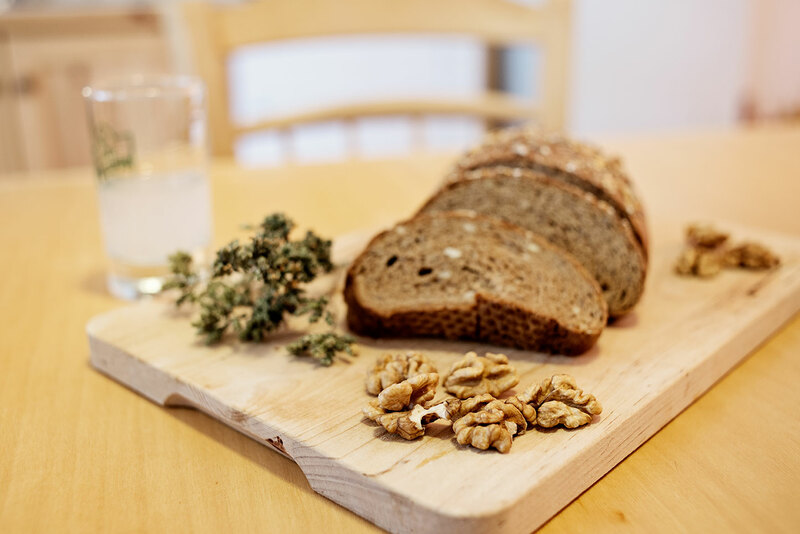 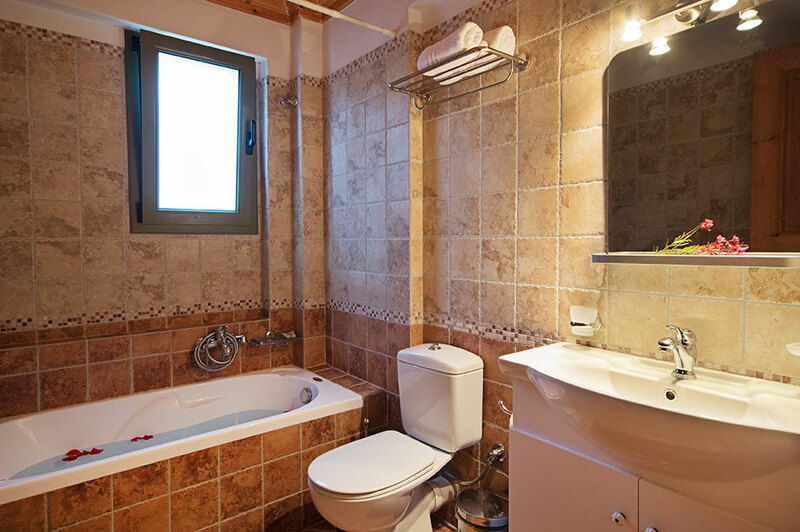 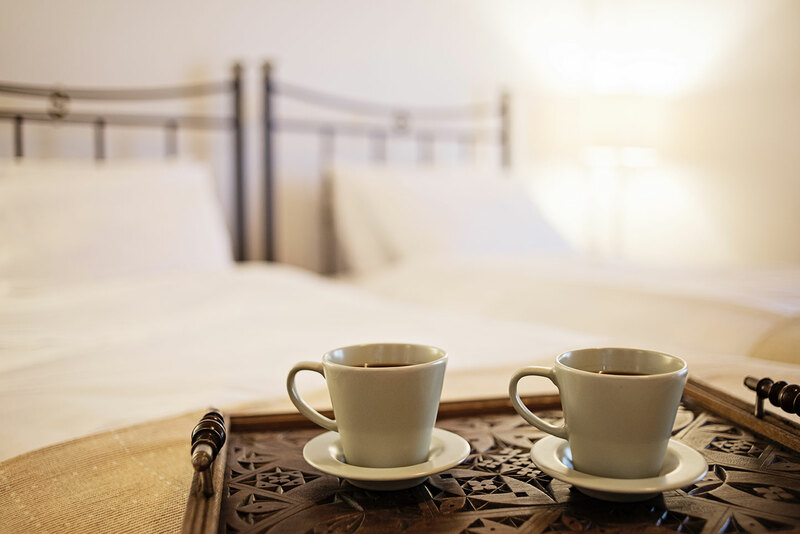 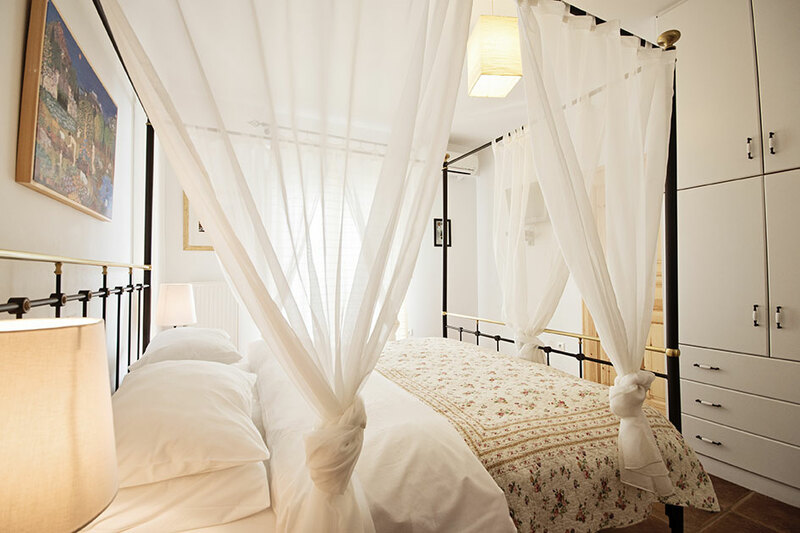 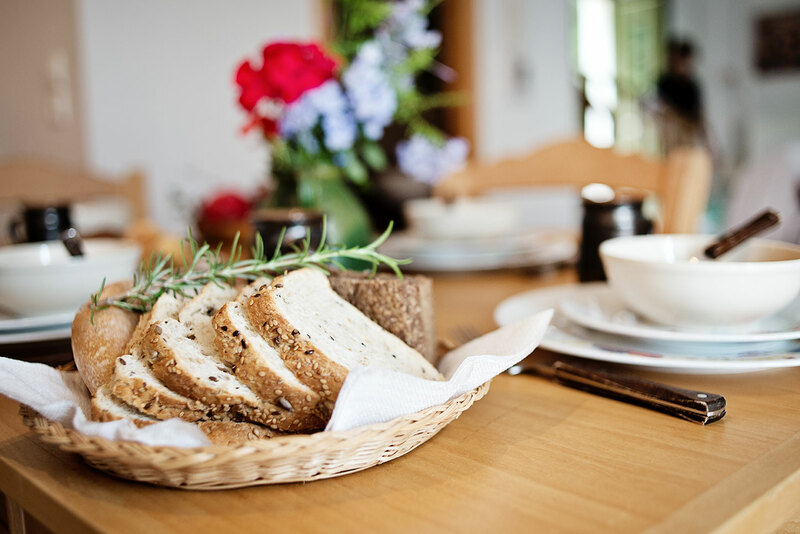 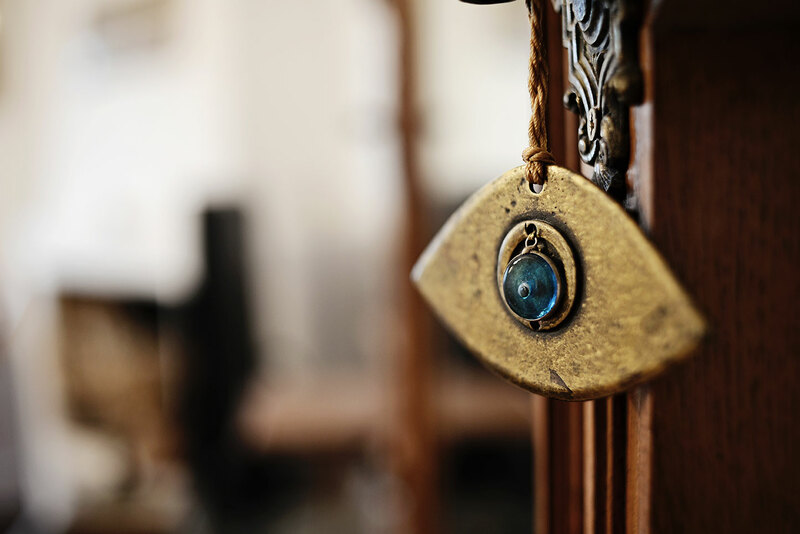 Among the services we provide, there is daily housekeeping, linen and towel changes, private pool maintenance, WiFi, bathroom amenities, and welcome basket upon arrival! 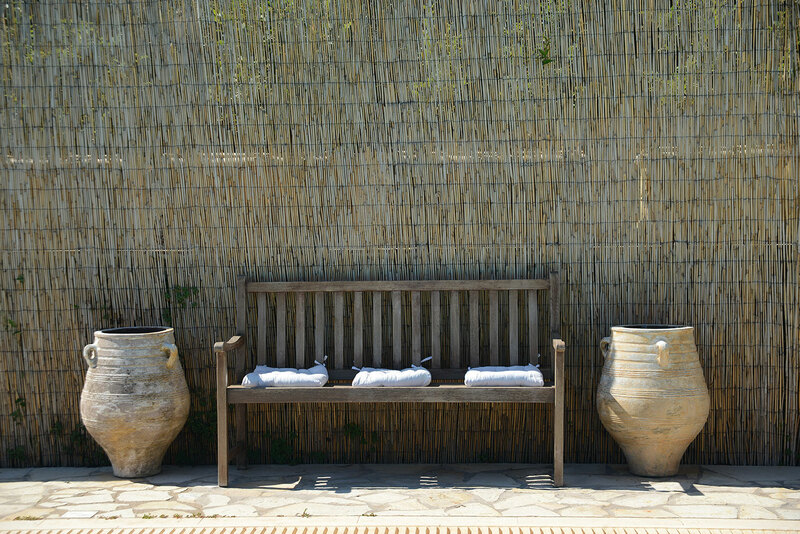 The sun shines on the property pretty much throughout the day where you can enjoy your sun tan on our sun beds by the pool, but there is also plenty of shade under the umbrellas or the Villas’ stone alcoves, if you wish to get out of the heat of the midday while outside. 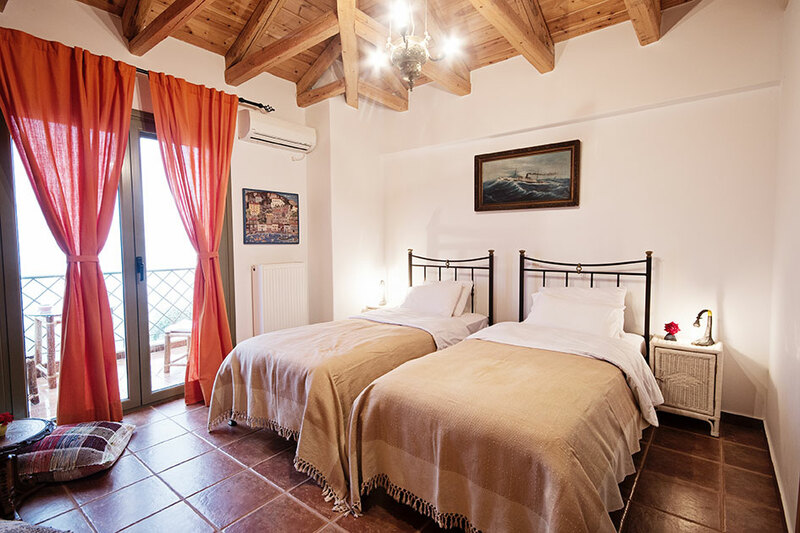 If you are lucky enough to visit Diodati Villas on a full moon night, you will not believe your eyes when you see the huge red moon shining all the way down to a silver-red water. 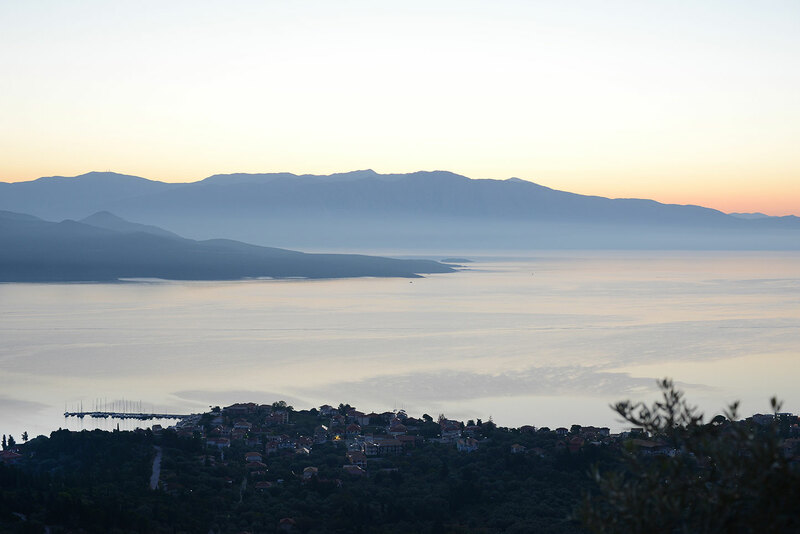 A most unique experience! 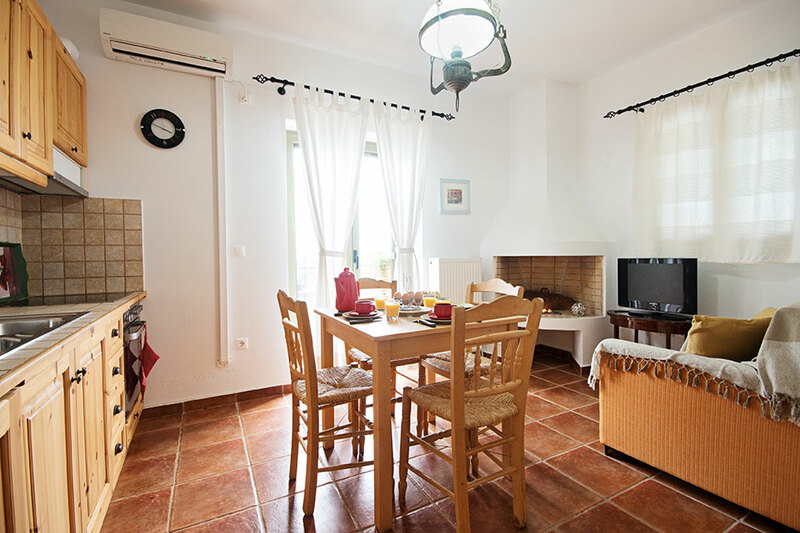 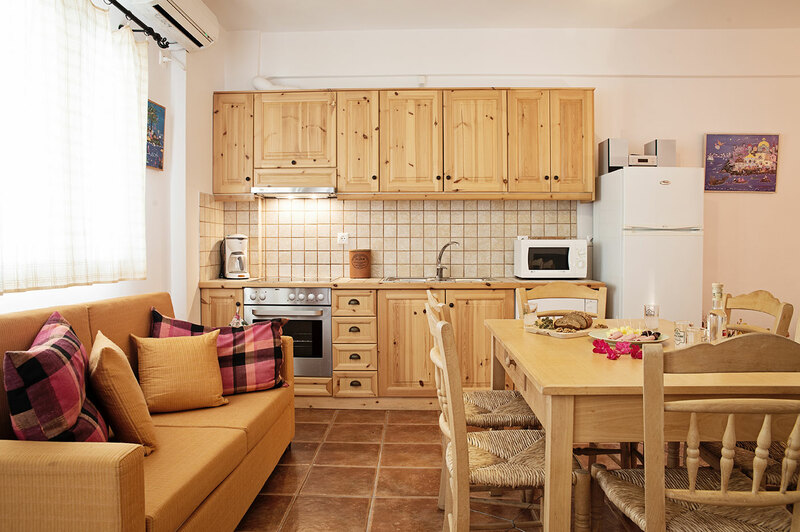 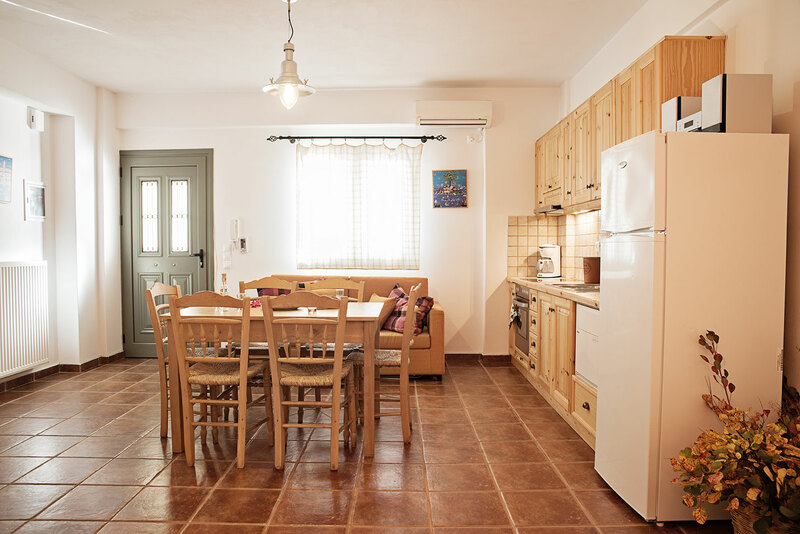 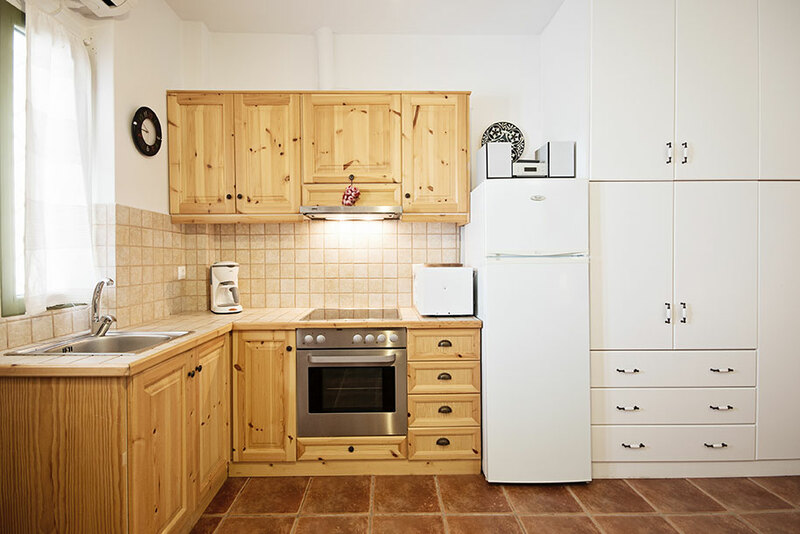 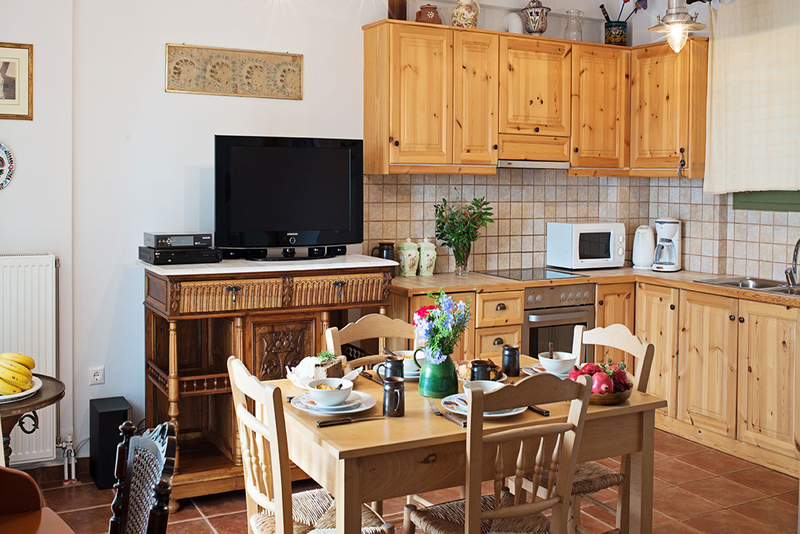 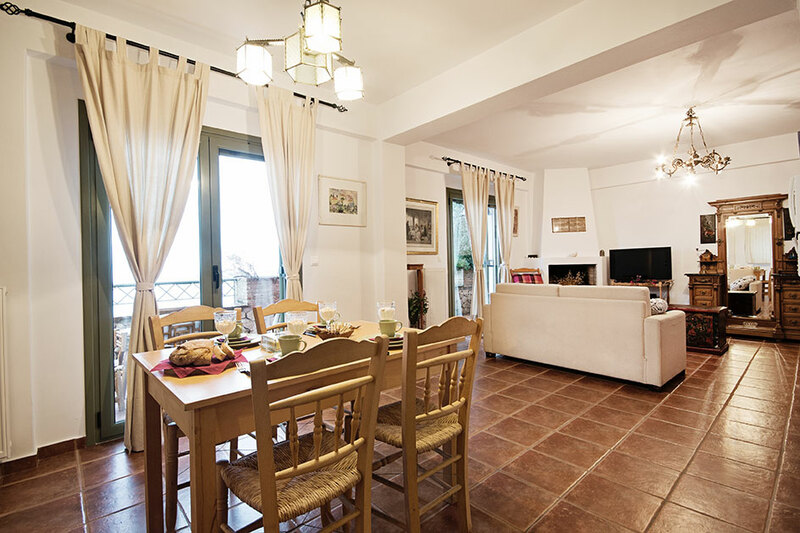 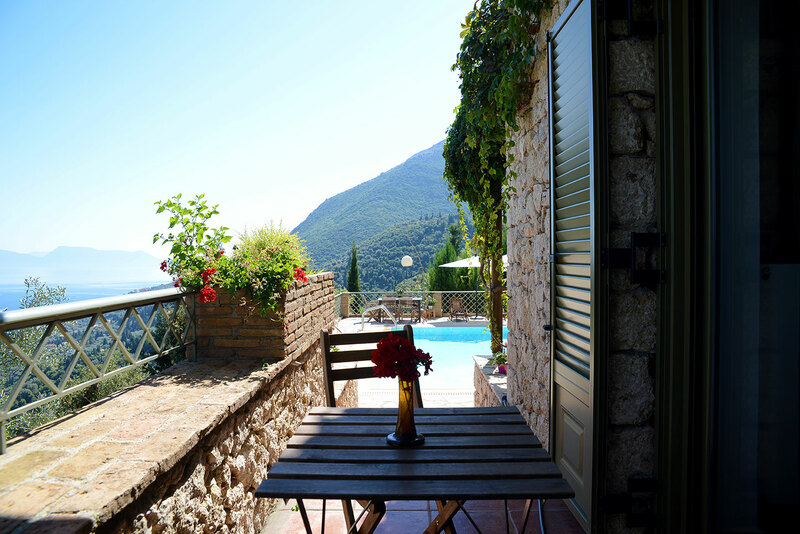 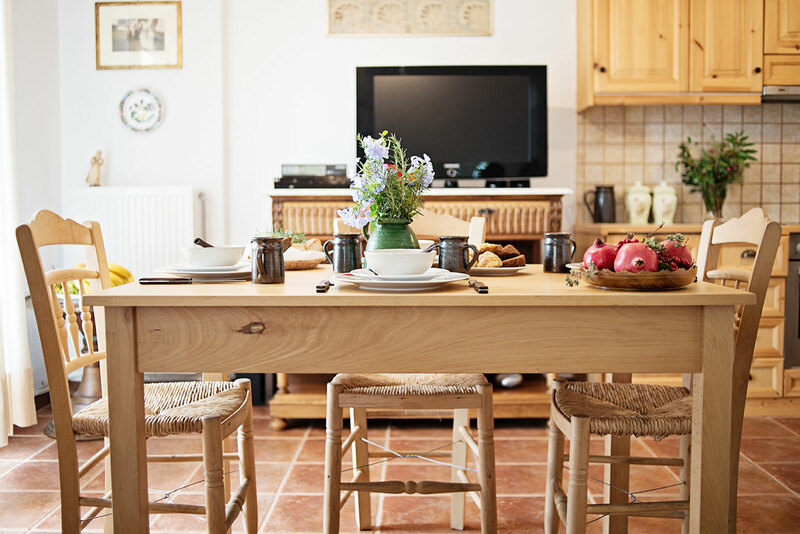 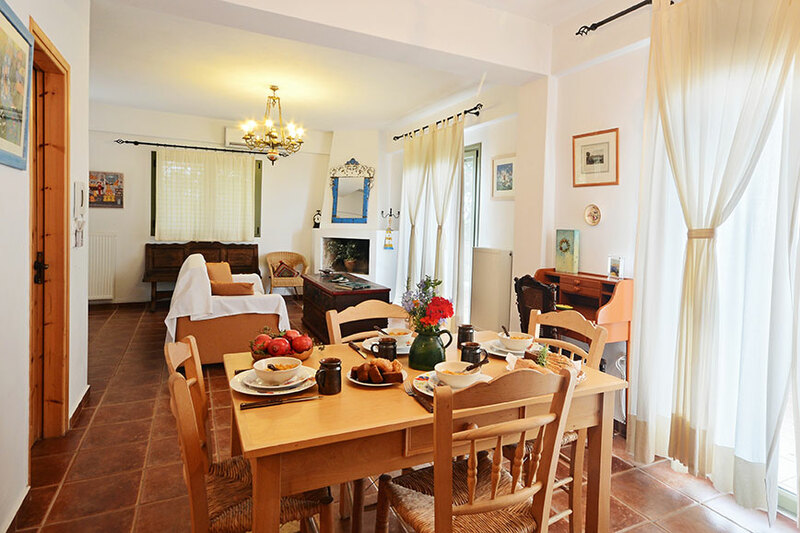 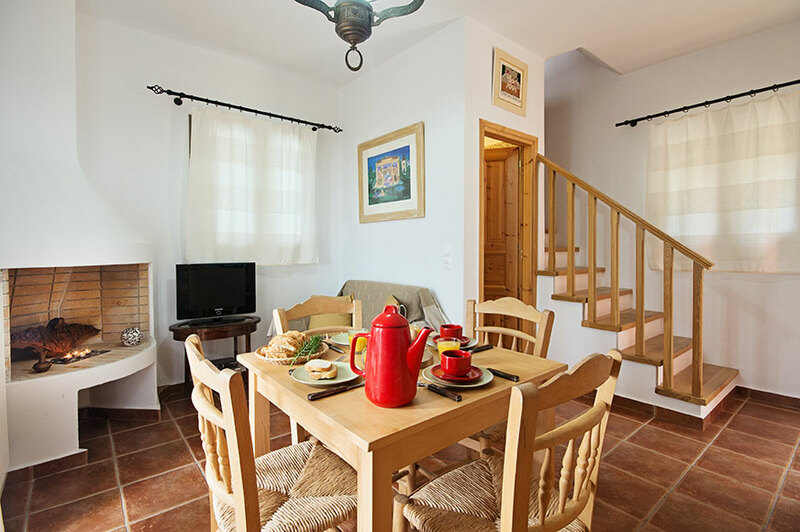 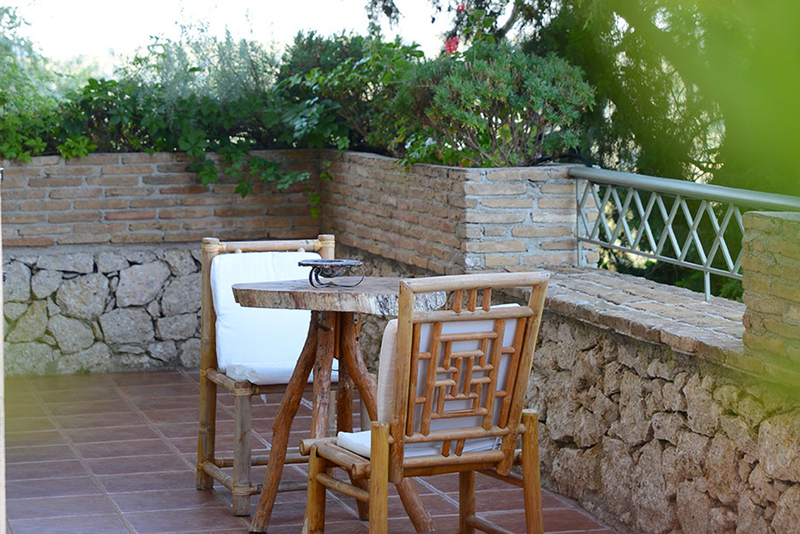 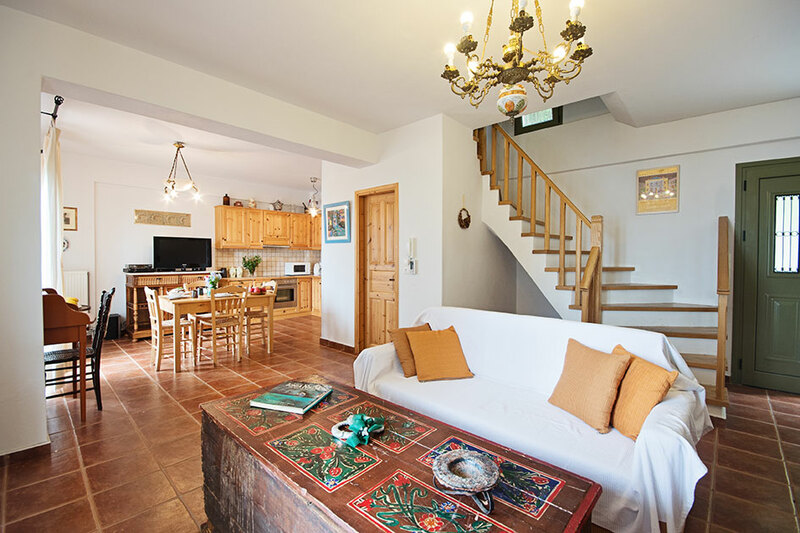 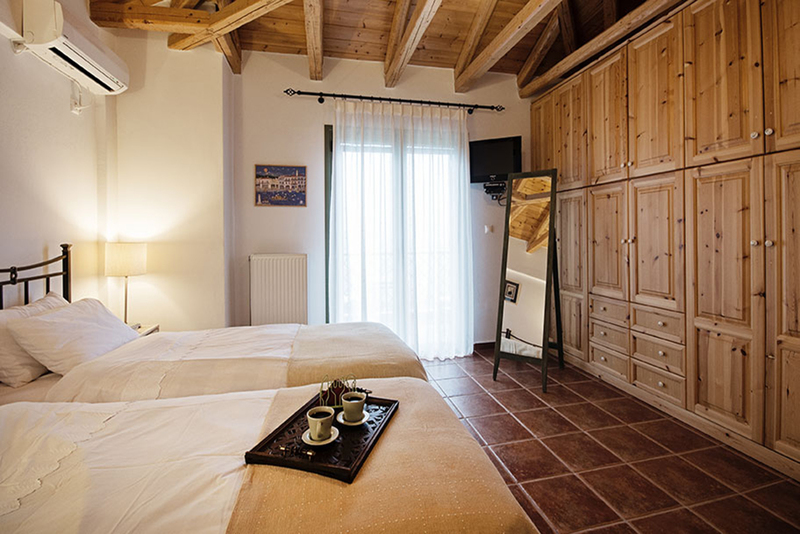 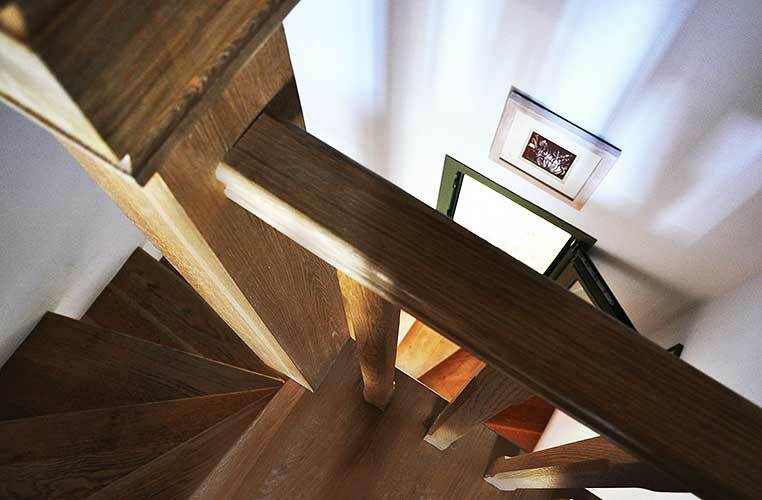 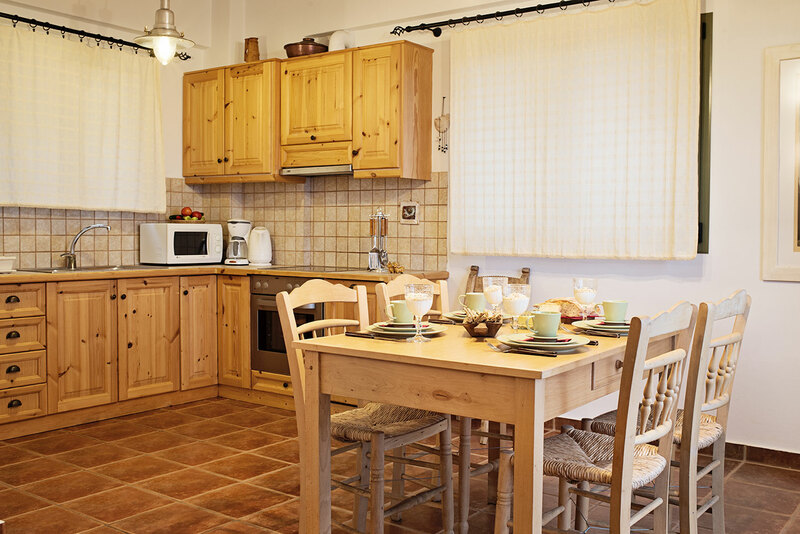 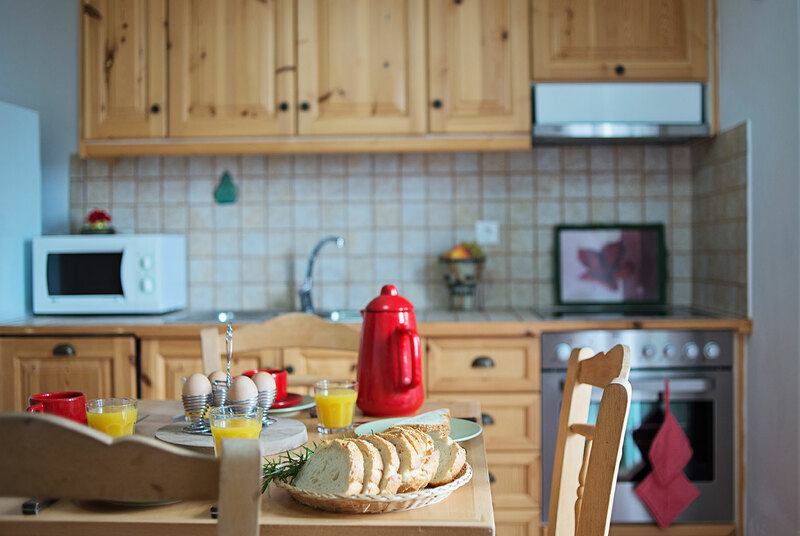 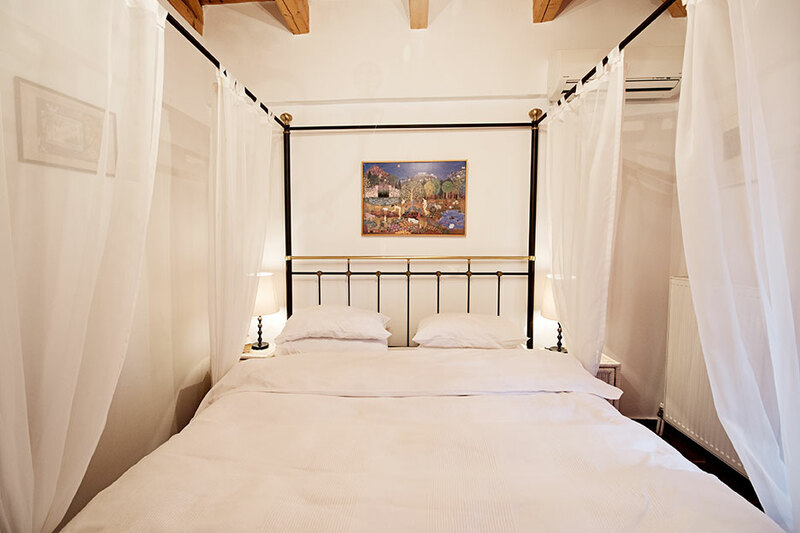 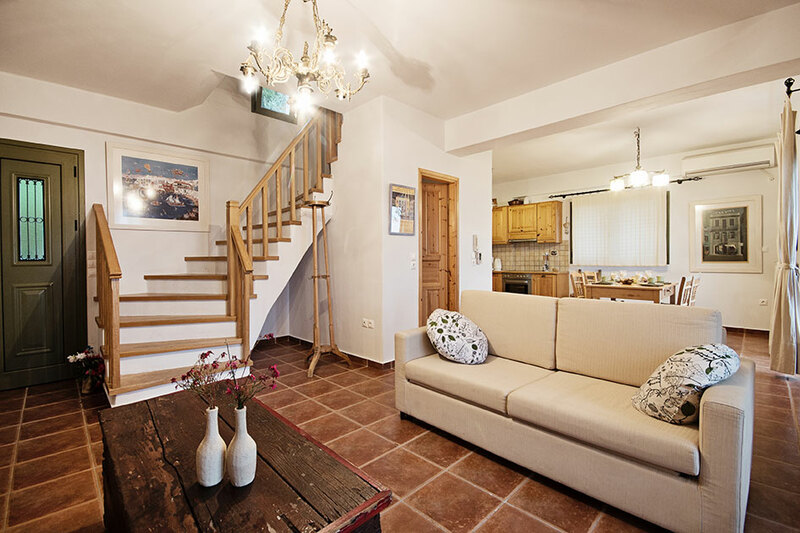 Diodati is a magnificent vacation rental complex, designed for your ideal holidays!